We’ve talked about “hot spots” and how to declutter when you don’t know where to start. (If you didn’t read about “hot spots” yet, be sure to read back to Day 1.) 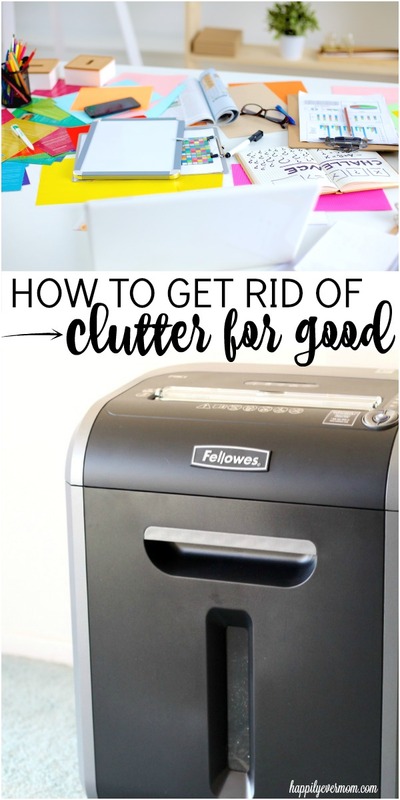 Now, we’re talking about how to get rid of the clutter in those hot spots. When you’re overwhelmed by clutter, especially during spring cleaning, it can be easy to go around the house and clean anything and everything. But, if you’re overwhelmed by clutter and you don’t know where to start, it’s important to identify your top 3 hot spots and create action plans so that you can start building new habits. 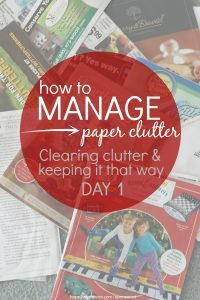 Here’s how you can do it so that the clutter won’t come back in a few days or weeks after spring cleaning! Here are my hot spots and the action plans to go along with them. Remember to read about hot spots and how to identify them first and then identify your top 3 hot spots. I’ve cleaned this thing over and over and it still piles up with random things from around the house. My DSLR camera, kids toys, half chewed dog destruction, and lots and lots of papers. The list goes on, but you get the idea. So, I looked at my desk and thought about what solutions that I could come up with. My camera needed a hook, the papers needed a place to be (because I actually do need them), and the other things needed to go. 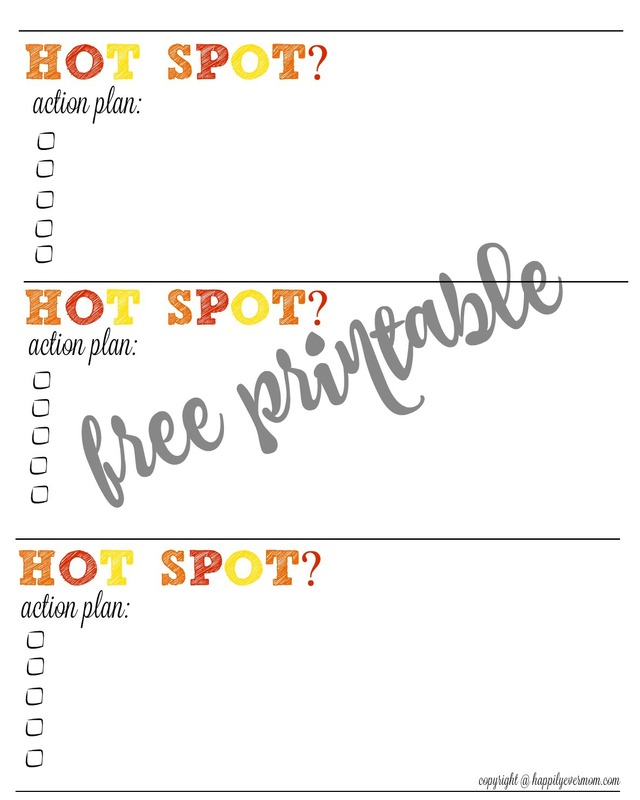 It might seem silly, but writing down an action plan for each hot spot is key. My action plan for my desk was: hang hook for camera, use stackable paper organizer on the corner of my desk (put our Fellowes 79Ci shredder underneath to get rid of unwanted papers right away), and throw away any non-work related items. 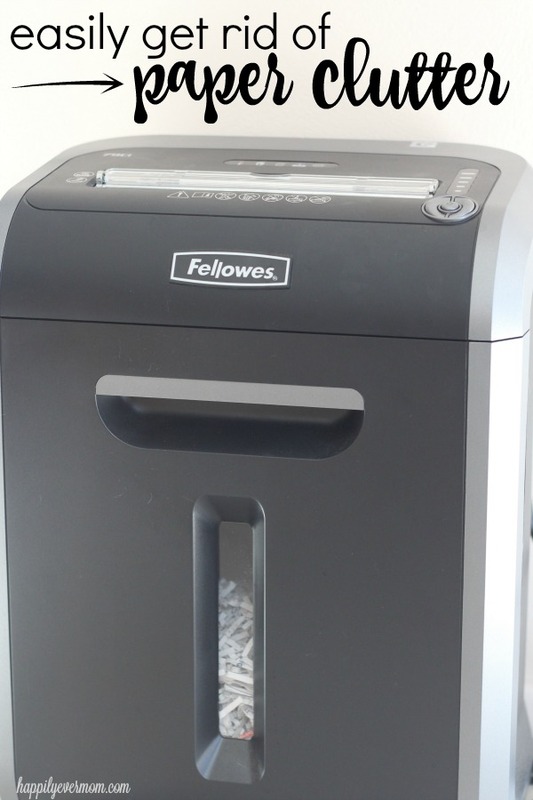 I think one of the most important things that we have for my desk is our Fellowes 79Ci shredder because it keeps our paper piles at bay. 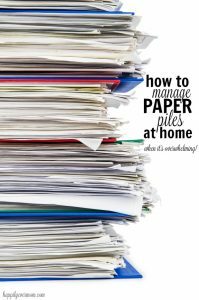 Firstly, it simplifies our paper piling problem because we all know (including my eldest child) to go straight to the shredder when we have a pile of papers to go through. It has a patented 100% Jam Proof System that eliminates paper jams which saves our family frustration and time. Not only that but the Heavy-duty Cross-Cut blades that can handle up to 16 sheets of paper per pass in addition to staples, paper clips, credit cards, junk mail and CDs!! I just tried my newspaper coupons folded in half and it worked like a charm. It also has a an extended 20 minute run time for increased productivity, so you can everything shredded in one sitting. Plus, an Energy Savings System that maximizes shredder energy efficiency 100% of the time – both in use and out of use. I love that I don’t have to think about unplugging it all of the time. Plus, with the holidays being just around the corner, it’s the perfect gift to ask for to start decluttering. The Fellowes 79Ci is an investment into our clutter-free life style long term. You can find Fellowes 79Ci available on Amazon and Office Superstores for a suggested retail of $239.99. The kitchen counters is another one of my hot spots. This is where mail, my kid’s school papers, random things I find on the floor, and (somehow) jackets come and settle. Part of the idea of hot spots is knowing exactly why it is that you have a clutter hot spot. In the case of my kitchen counters, it’s because we often come in after school and in the evenings to the kitchen for a snack or to make dinner. So, we always go straight towards the kitchen first and then everything drops on the kitchen counters. Build command center with hooks for jackets and organizer for kid’s school items on the way into the kitchen. That way all of those items can be organized on our way to the kitchen. Then, we need to change where we take the mail. Since I have the paper organizer and shredder near my desk, we’ll take mail there first instead of to the kitchen counters. My dresser is a catch all. There’s hairbands, random jewelry, books, folded clothes, and so many other things (like tissues…I know…gross). Keeping this hot spot clear is essential! Make a hanging jewelry holder for the wall next to my dresser instead of jewelry boxes which clutter the dresser top. Put a trashcan next to my dresser and add a side table for my books. Make sure clothes are always put away, not just placed on top of the dresser. Why are we creating action plans for spring cleaning? 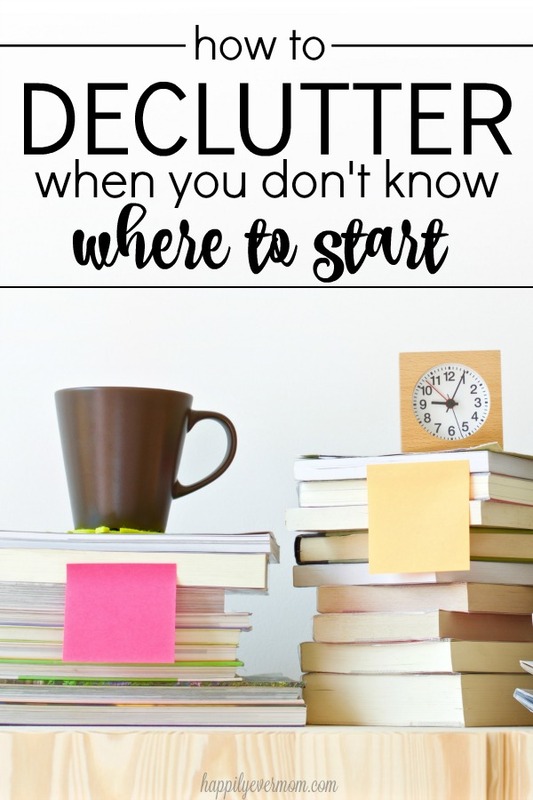 When you don’t know where to start decluttering, it is so easy to get swept up in cleaning ANYTHING around the house that we forget that the most important part of decluttering is creating new habits. If we clean everything, but don’t make any organizational changes, our place will be a mess again within days or weeks. But, if we create an action plan for our top 3 hot spots, we can strategize why that area is always cluttered, make a few changes, and create new habits to stop getting overwhelmed by clutter. There are only 3 areas. It’s easy to identify and easy to start cleaning up when you don’t know where to start. Your action plan helps to create solutions for your hot spots or clutter centrals! Creating clutter solutions help to build new habits which stops us from going back to old habits. It’s simple. No need to feel like you have to tackle the whole house (yet). Instead, get a handle on the areas of the house that are hardest for you and then clean up the easier areas of the house. This takes effort, time, and energy, but it is worth it to stop feeling overwhelmed by certain areas in our house! That’s always my problem – I’m all set to tackle the clutter and then just can’t decide where to start! I think a paper shredder might help; I’d probably go around just looking for things to shred, lol!